Comment: gutter on back of home needs replacement as well as down spouts and garage downspouts. Gutter on front of porch needs repair also. Comment: We own a row home built in 1891. We are having the brick stripped of paint and repointed, new windows put in, and would like white seamless gutters and downspouts to finish the look. We are also having the siding painted. We need an estimate and to fit you in to the proper time slot with the other contractors. Getting the info needs to be done asap but the work schedule can probably be pretty flexible. Brick restoration is mid May to early June. Windows at the end of June. Painting can be done anytime. We need to know your availability. Comment: Facia board needs repaired and soffit needs reattached. Gutter needs work as well. Comment: I would like to get an estimate for checking out my gutters. They have a mesh wiring on them now but I am unsure of how much they are working. I need someone to check and see if they need replaced. Sam S. Smucker & Sons, Inc.
Lancaster Gutter Cleaning & Repair Services are rated 4.69 out of 5 based on 338 reviews of 20 pros. 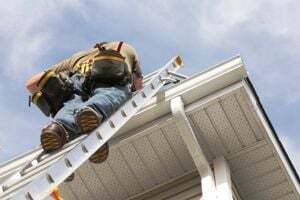 Not Looking for Gutters Contractors in Lancaster, PA?